An e-mail that was sent from HP to developers makes notice of the “applications initiative” that has begun after their acquisition of Palm a few months ago. This initiative includes a tablet device similar to that of the Apple iPad. When HP acquired Palm, they also acquired Palm’s webOS mobile device platform. According to the text from the e-mail, this operating system will be the core for all of HP’s mobile devices going forward, whether it is cell phones or tablets. 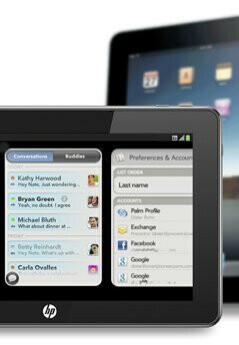 For a tablet, webOS may be a great ground to build on given its true multitasking capabilities. The system uses “cards” that allow users to browse through open applications, whether it is the internet or text messaging. True multitasking has yet to find its way to the Apple iPad (although iOS 4.2 will add that feature). It was the opinion of many that Palm’s webOS phones the Palm Pre and Palm Pixi were solid devices in the software area, but lacked the hardware to go along with it. HP is certainly going to address the documented hardware issues. It could be a marriage made in heaven given the quality of HP’s hardware, and the potential that webOS possesses. HP’s first webOS device is rumored to be arriving somewhere in early 2011. The tablet war has already started to heat up, with manytrying to reach the bar that the Apple iPad set earlier this year. 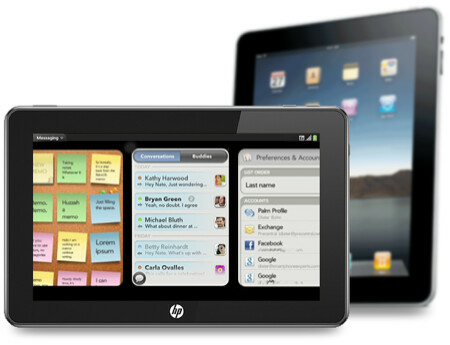 Will a tablet device form HP running on webOS be able to give the iPad a run for its money? Only time will tell, but here’s to hoping that time speeds the heck up! Who cares about a tablet? Wheres our new webOS phone? You guys don't get one. Seems like HP would rather jump on the tablet bandwagon than give their fans what they want.